candidates for consolidation with the Prime Minister’s Office keen on having a few large banks rather than several smaller ones, he said. “We may start with some low-hanging fruit. For example, Punjab & Sind Bank can be merged into Punjab National Bank. 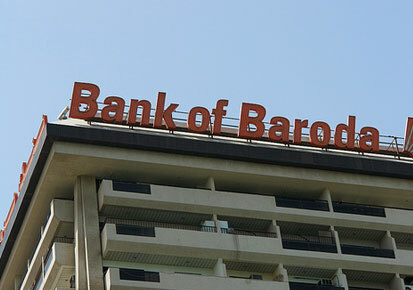 Big lenders like Bank of Baroda can take over some turnaround banks in the southern region, like Indian Overseas Bank,” the official said. This comes as the finance ministry is working closely with the Reserve Bank of India to address non-performing assets. Recently RBI had unveiled stricter norms under the revised prompt corrective action framework, which may force lenders to consolidate in case they don’t meet the regulatory requirements. “Primarily, we are only going to be matchmakers, but, yes, if RBI feels that such action is necessitated in terms of regulatory requirements, we may act accordingly,” the official told the paper. “All these plans are fluid, as we also need to take clearances from the Competition Commission, as followed in the case of Bharatiya Mahila Bank and SBI merger,” he said. The government will push big PSU banks to tap the markets this fiscal, another government official said. Indradhanush is a seven pronged revamp plan for state-run banks that the government announced in 2015. It included a programme to deal with bad debt and called for capital infusion to the tune of Rs 70,000 crore till FY19. The government will also push seven public sector banks — United Bank of India, Indian Bank, Bank of Maharashtra and Central Bank of India among them — to tap the markets in the next five months to meet the 25% public shareholding norm. The government is also looking to allow lateral entry in banks and will work closely with the Banks Board Bureau to reform the human resource structure at the state-owned lenders. The latest development appears to be a broader plan than the one that Banks Board Bureau chief Vinod Rai alluded to in an interview with Reuters last month. He had suggested that “two large Mumbaibased banks” could potentially merge in the current financial year.